When technicians face “nightmare dumpsters,” pest management can be an excercise in futility until dumpster sanitation problems are corrected. For example, food competition with the garbage will make rodent baits ineffective (what rodent would eat a rodenticide bait block rather than the remains of somebody's fried chicken dinner!). You might get short-term control by, say, applying rodenticide tracking powder in nearby burrows, but removing the rats’ access to the garbage will always be critical to eliminating the rat problem. Dumpsters are often the focus of pest problems, especially rats and flies, around commercial accounts. Inspect the dumpsters and trash areas each time you service a commercial account, whether it be a restaurant, apartment, shopping mall, office building, or food plant. Report any problems you find to the manager (see Good Dumpster Management below). It's best that the report be in writing, even if it is only a notation on a service ticket. A digital photo can be very effective in demonstrating sanitation problems. Be familiar with good dumpster management practices (see below). 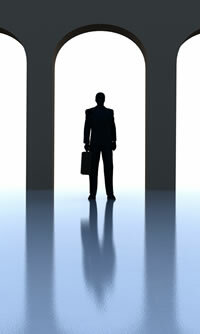 Report dumpster management problems whenever you find them. 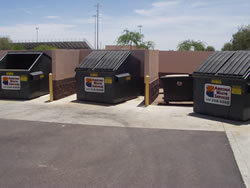 Dumpsters should be located at least 50 feet, and preferably more than 100 feet, from outside doors. Dumpsters should be situated on a thick concrete pad that has foundation toes on the outside to keep rodents from burrowing under the pad. If not installed on a pad, small dumpsters can be on wheels to keep them up off the ground. If possible, the dumpster area should slope to a sanitary sewer drain to handle runoff from cleaning. There should be no thick shrubbery around dumpster enclosures. Such plants might help conceal the dumpster from view, but they also conceal rodent burrows and accumulated garbage, and make inspection difficult. Especially avoid thorny shrubs like barberry. Make sure weeds or grass around a dumpster are trimmed close. Dumpster lids (rain guards) should be kept closed. If there’s so much trash that the lid can’t close, then a bigger container is required or the trash service needs to schedule more frequent pickups. Users need to close the doors after they’ve deposited trash. Custodial staff should be present occasionally when the dumpster is emptied in order to clean the slab directly underneath. Dumpsters should be washed out regularly, and whenever they smell strongly of rotting trash. Use high pressure and a degreasing solution. Drain holes should never be left open (except during cleaning). Plugs should be in place or the opening should be screened. 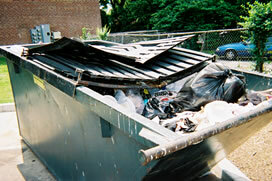 Dumpsters should not be damaged, leaking, or rusted through, and the lids should close properly. Otherwise, they should be replaced. In fact, trash service agreements should specify that dumpsters shall be replaced with new or reconditioned dumpsters on a regular basis. Place (don’t toss) trash inside the dumpster, not around the dumpster. Don't place loose food waste into the dumpster. Instead, food waste should be put into heavy-duty plastic trash bags and tied off with a twist tie or similar before being placed into dumpsters. And wet waste should be wrapped in newspaper first. Dumpsters should be checked by staff twice daily, and any trash picked up that didn’t end up inside. Staff should also police the area immediately after the dumpster has been emptied or removed.